My Lemon Rosemary Chicken recipe is cooked on the stovetop with a fabulously creamy butter sauce mixed with shallots, garlic, chopped rosemary, and a little lemon zest. 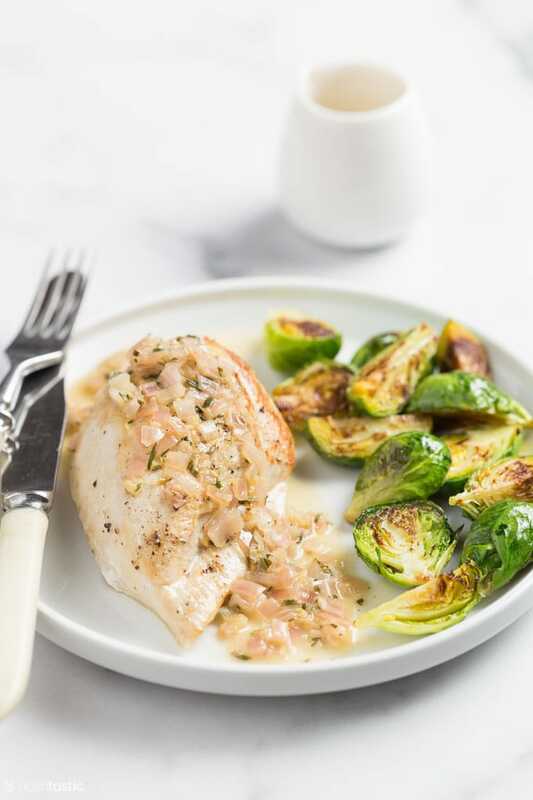 This is the kind of weeknight meal that is not only quick and easy to make, but it tastes good enough to serve to dinner party guests and it’s naturally low carb and keto friendly too! Turn your oven on to 400F and while you are waiting for it to come to temperature you can season the chicken on all sides with salt and pepper. In a large skillet (we love our cast iron skillet for this) heat the olive oil over medium heat and then brown chicken on both sides. Once browned transfer the chicken onto a baking sheet and bake uncovered for about 10-20 minutes until the internal temperature reaches 165F. 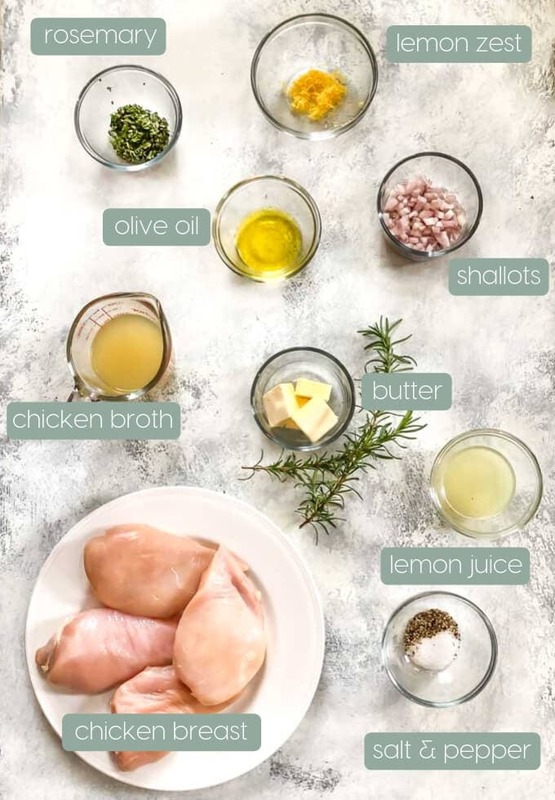 While the chicken is baking and in same skillet you browned it in, add the chopped shallot and rosemary and saute for a few minutes, then deglaze the pan with the chicken broth. Bring it all to a boil, then turn down the heat a bit and continue simmering until the liquid is reduced by half. 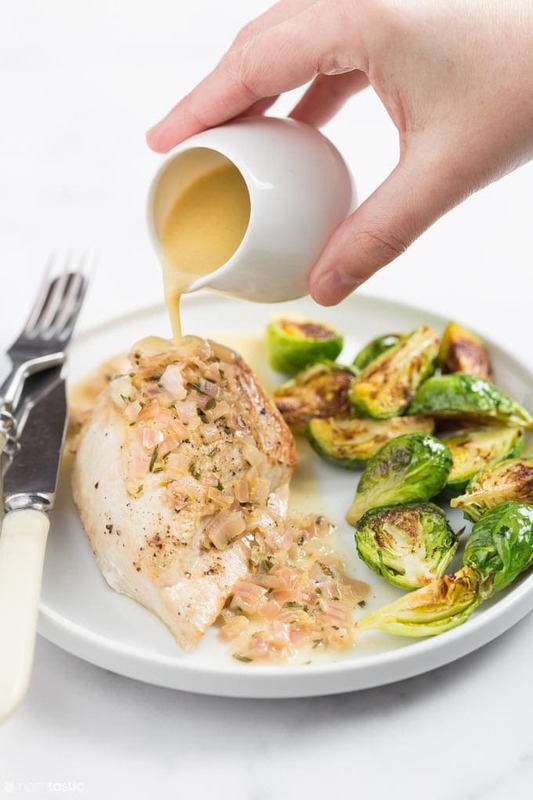 Serve the lemon sauce poured over the chicken breast . 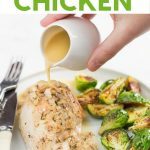 Quick and easy low carb and keto friendly chicken dinner with a lovely butter lemon sauce. Season both sides of the chicken pieces with salt and pepper. If the breast pieces are very large you can cut them in half to make them thinner. 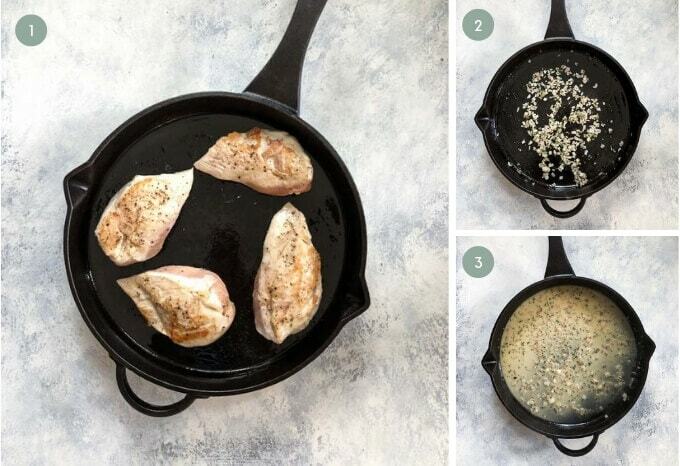 In a large cast-iron skillet heat olive oil over medium heat and brown chicken evenly on both sides, you do not need to fully cook it at this point. In the same skillet you cooked the chicken in add the chopped shallot and chopped fresh rosemary, and cook for a few minutes over a medium heat. Add the chicken broth and bring to a boil, deglaze the pan, then reduce the heat and simmer until the broth is reduced by half. Reduce the heat to low and add lemon zest and lemon juice. Add the butter 1 tablespoon at a time, whisking continuously until the sauce is creamy. Spoon sauce over the chicken pieces and serve hot.